Just days ago, the hit pop sensation, Ariana Grande, came out with a new single called “Thank U, Next”. In just twenty-four hours, the song was number one in over thirty countries, number one on Itunes Worldwide, and number one on Apple Music US. It also is her most viewed audio video in its first twenty-four hours with five million views, and it is critically acclaimed and loved by many celebrities. The message behind the song is what is really driving everyone wild. Ariana mentions all of her exes including, Big Sean, Ricky Alvarez, Pete Davidson, and the late Malcolm Miller. She thanks all of them for coming into her life but shows that she is moving on with herself. One of the lines is, “Plus, I met someone else. We havin’ better discussions. I know they say I move on too fast. But this one gon’ last. ‘Cause her name is Ari. And I’m so good with that.” She has found love in herself and is showing she does not need another person right now. The song is empowering us all to love ourselves and to thank our exes to what they have contributed to our lives. Ariana never strikes out. She has written about growing from past relationships, sexual liberation, anxiety, and being able to grow from dark times. She brings needed messages through music because she is dealing with it or has dealt with it herself, and it is truly amazing. 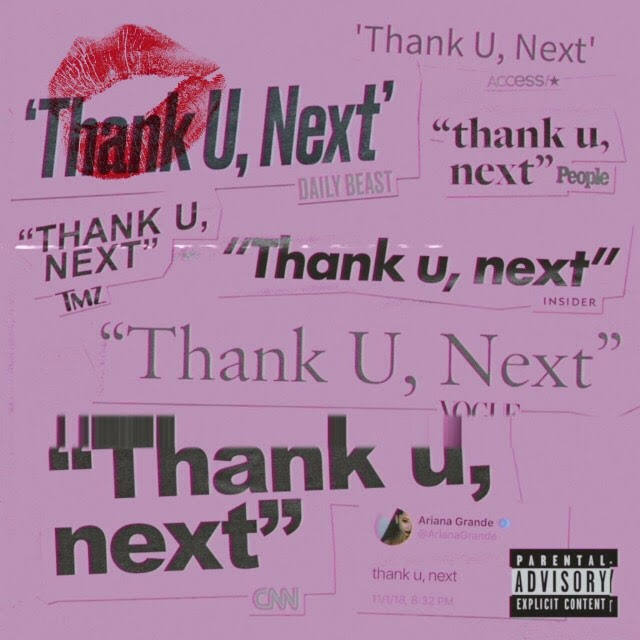 “Thank U, Next” has the Global and US Spotify record for biggest single day for a female artist in Spotify History. She has also been named Billboard’s woman of the year which is well deserved. As Nicki Minaj nicely raps in Grande’s song “Side to Side, “young Ariana run pop”.